I have been a huge fan of Essence Products for some time. I’ve tried eyeshadows, mascaras and the matte face powder is one of my faves! It is a “Beauty under 10” favorite company – great quality and great price! Essence was created in 2001 by a woman named Christina, who wanted to make a different cosmetics brand – a really fun brand that offers both great quality and excellent prices – just what I like! The first launch was in Germany in 2002 and now it is worldwide! Best of all, they are a cruelty free company – no animal testing! Recently I purchased Essence nail polishes. The gel nail polishes provide incredible shine in 34 different colors, and gel finish - no lamp required! I did a super quick manicure using these polishes. 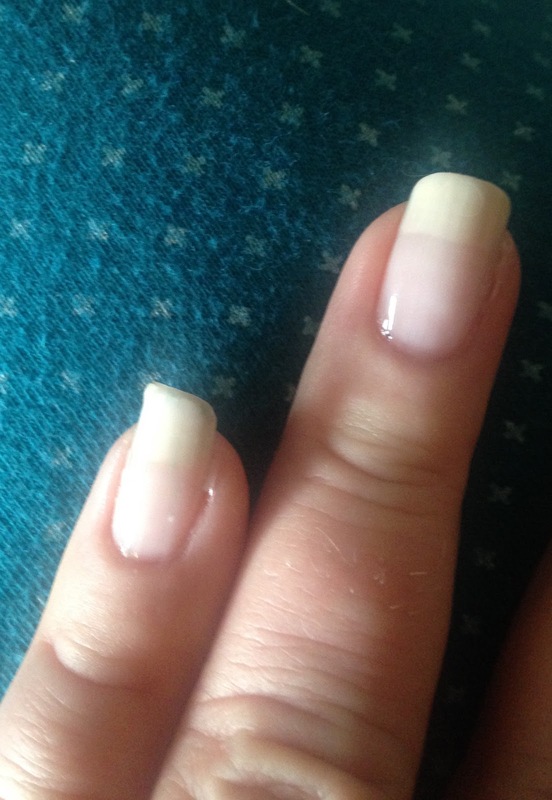 - Apply a base coat to help protect the nails. 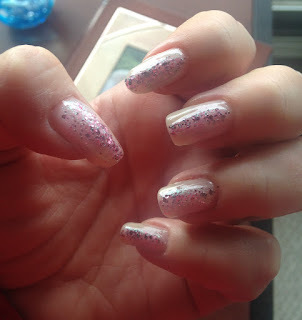 - I applied Sweet as Candy to the nails, it is a sheer color so I used 3 – 4 coats. 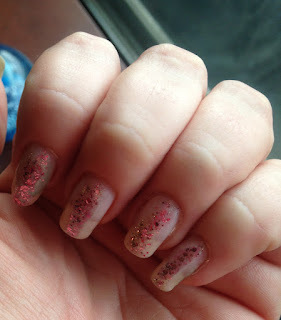 - Using the small side of the brush, I applied Party Princess down the centre of the nails. - Applied the gel top coat and I was done! 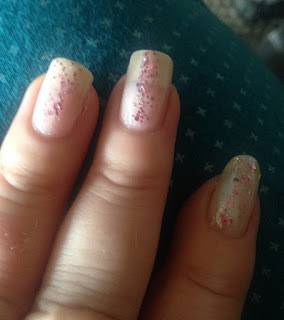 The polishes dried fairly quickly but Essence also has quick dry drops (my next purchase!). The colors were sheer and I needed a few more coats than usual but that could just be the colors I chose. Hope you found this to be fun and easy! If you would like to recreate this design, please use #BU10nails and follow me on Instagram,Facebook or Twitter.